I'd appreciate any feedback to help me improve my routine and results. Steve, I'll be happy to watch your journal and chime in with comments. I'm going to wait until you're posting some workout results, first. Give what you've got planned a go for now, and see where it leads you. Good job Steve. Good looking program. For the deadlifts, rather than do sets of 10, do a cluster set, 10 sets of 1. That means reset after each rep. Stand up between reps. Take 2 breaths, regrip the bar, set your back correctly and then pull. This will give you practice at setting up and will ensure that each rep is done with proper form. You will gain the confidence to go heavy quite quickly. Deadlifting is all about confidence. Most people are capable of lifting much more than they do. Should I increase the weight with this style or stick with the same weight? Don't change the weight within a cluster, but otherwise, increase the weight as you normally would. stuward wrote: For the deadlifts, rather than do sets of 10, do a cluster set, 10 sets of 1. I gave this a shot and have to say I sort of like it. The only thing negative to say is that it does take a bit longer which will take getting use to. The negative is out weighed by the benefits: increased weight, decrease in recovery time between sets and moving to next exercise and form is maintained. I'm posting today's results in my journal. Thanks for the tip. 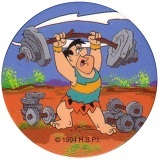 stuward wrote: Don't change the weight within a cluster, but otherwise, increase the weight as you normally would. I guessed that was the case and went with the work out as you suggested; I, also, guessed that I would do 3 cluster sets of 10. I posted my results and went from 130lbs on the first set to 150lbs on the third set. Since I did all 10 on the third set, I will start with 150lbs on Monday. Have you tried doing negatives instead of the 1-leg assisted Chinups you are currently doing. Or another option would be to use Bands for assistance if available. Check the Pullup Challenge thread - I posted some "doing a chinup for the first time" links there. Steve--Congratulations on getting started. It looks like a pretty solid routine to me. At some point you may want to divide the lifts between two alternating workouts. My only thought on the DLs (other than that I love DLs) is that 3 sets of 10 is getting on to a pretty high volume. Depending on your age and other factors that affect recovery (rest, diet) that might be a bit much. As the weight goes up you may want to consider decreasing the volume a bit. Also, doing DLs every-other workout may provide better recovery. I've tried negatives, but they feel so awkward, and I can't seem to setup correctly. I'm already taller than the kids' monkey bars, so I'm not so sure how to lower myself slowly as my feet are already on the ground. I'm considering bands just haven't gone looking for them yet - making do with what I have for as long as I can. Jungledoc wrote: My only thought on the DLs (other than that I love DLs) is that 3 sets of 10 is getting on to a pretty high volume. Depending on your age and other factors that affect recovery (rest, diet) that might be a bit much. As the weight goes up you may want to consider decreasing the volume a bit. Also, doing DLs every-other workout may provide better recovery. Since DL's are a new exercise for me, I started out with what appears to be too little weight. I'm shooting for 3 sets of 6 to 8 not necessarily 10. I've been hitting 10s with the weights used, but I'm working up slowly because it's a new exercise for me, and I want to make sure I maintain form. I will definately keep that in mind. Would I put another exercise in its place on days I don't do DL's? I've read somewhere about body weight being lifted in squat but can't seem to find it now. Can anyone tell me what % of body weight is lifted in squat? There aren't any rules like that. People who are already fairly strong may start out at 70-80%; people who are not so strong starting out may start at less than 50%. After training for a while, 150% is pretty good, 200% is great. The guys squatting in the world record range (over 1100 lb) must weigh maybe 300lb, so that means they are lifting between 300 and 400% of BW. Sorry for the confusion. I don't mean how much weight can one push with respect to body weight. What I meant was when performing a squat (w/o any additional weight) you are pushing a percentage of your body weight up - perhaps all the weight from waist up since calves are stationary and quads are doing the work. Steve, no one tracks that. We all just track the weight of the bar. It's hard to calculate, because in every exercise some portion of the body is also being moved. It's way too difficult to calculate, and I don't even know of a rule-of-thumb for figuring it out. In the squat, much of the whole body is being used. Your upper body contracts isometrically to stabilize the weight, and everything from the quads down gets involved getting the weight down under control and then moving it back up.